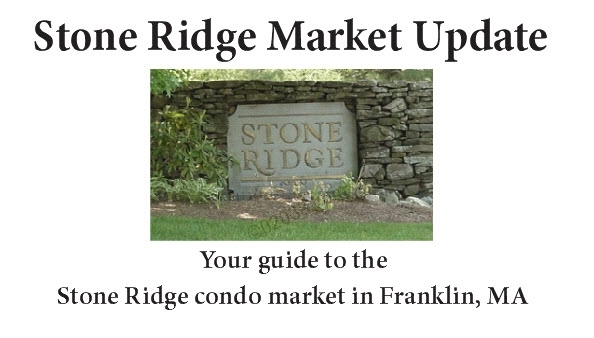 2015 was a solid year for townhome sales at the Stone Ridge Condominiums in Franklin, MA. 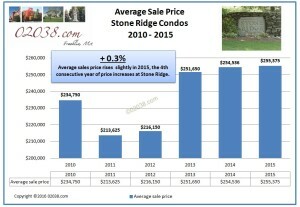 The average sales price advanced at Stone Ridge the fourth straight year. 2015’s average sale price of $255,375 edged up 0.3% above that of 2014, and now stands a sizable 19.5% higher than the average price low for Stone Ridge set back in 2011. 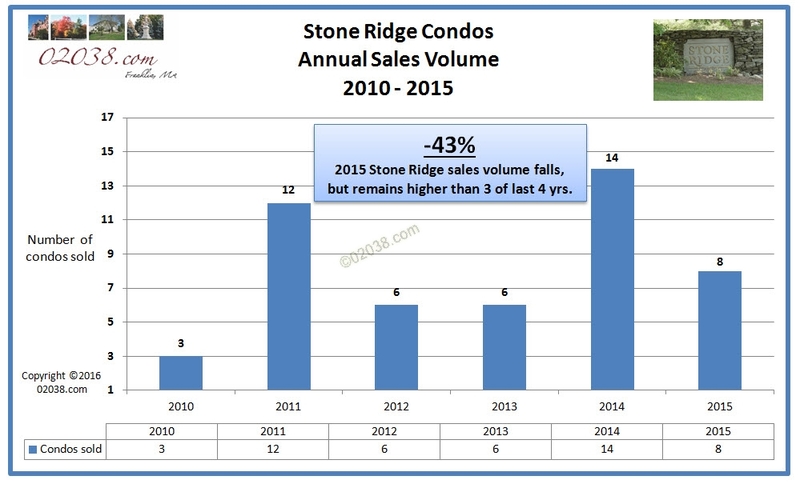 2015 sales volume at Stone Ridge fell some from 2014’s torrid pace. But at 8 townhouses sold, 2015’s sales volume still exceeded the total annual sales at Stone Ridge for three of the last four years. 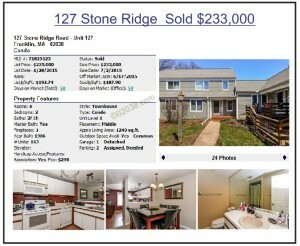 The lowest priced townhouse sale at Stone Ridge for the year was 127 Stone Ridge Road which sold for $233,000. The 2 bedroom unit with an unfinished basement had original cabinets in the kitchen and baths. Interior cosmetics were good. The 1 car garage was detached from the home. 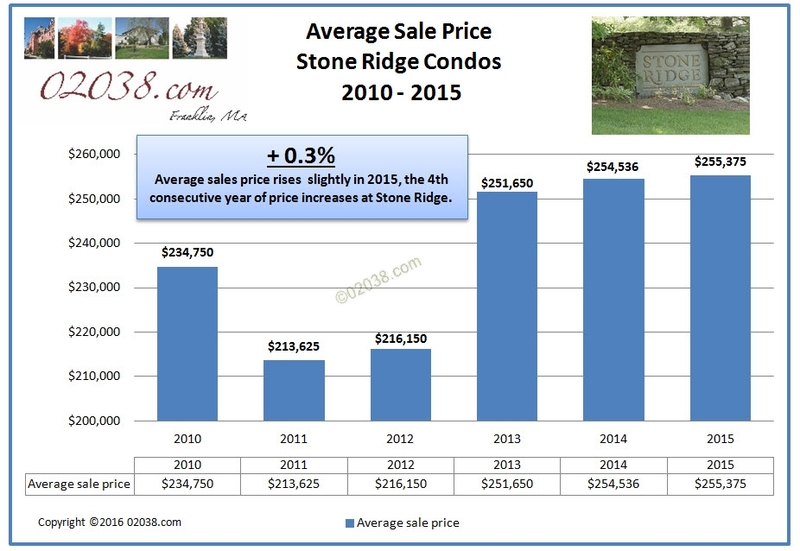 54 Stone Ridge Road generated the highest selling price at Stone Ridge for 2015. This condominium offered what currently is the most sought after feature for a condo in the I-495 region: a spacious 1st floor master suite with full bath. Other benefits of this unit included 2 additional bedrooms on the 2nd floor, an attached garage, and a finished basement with dry bar. The home sold for an over asking price of $326,000 in October. 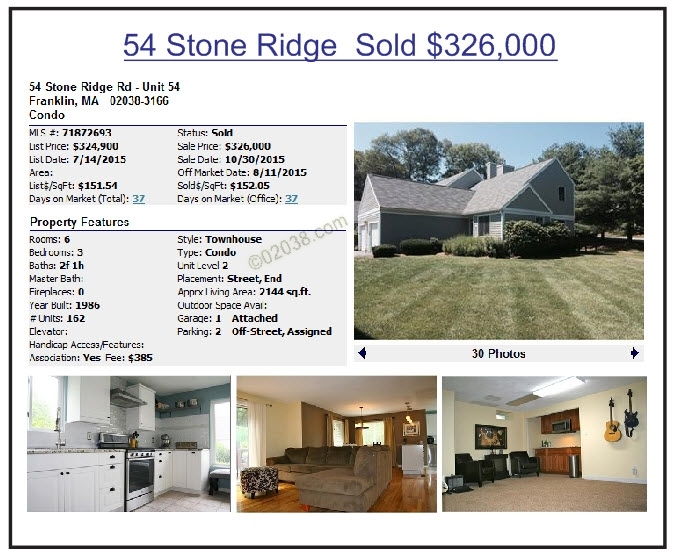 The key advantages offered by the Stone Ridge Condominiums in Franklin, Massachusetts are full basements, garages, a liberal pet policy and no age restrictions – you don’t have to be age 55+ to live there! 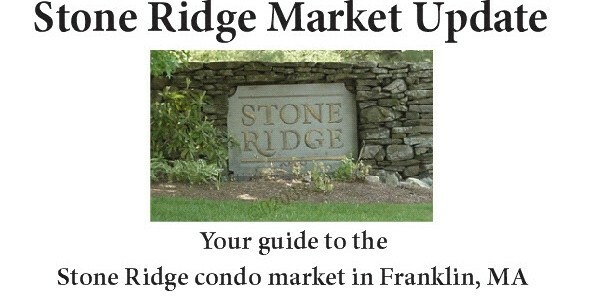 This means Stone Ridge has broad appeal and is good bet for future price appreciation. 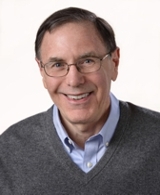 Contact Warren with any questions about Stone Ridge . 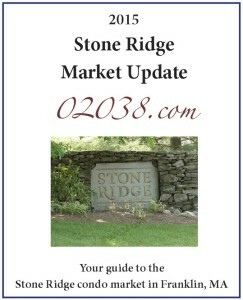 . . Warren knows Stone Ridge like an insider!